Redwood City, CA - Jordan Hurwitz, an American singer/songwriter born and raised in Redwood City, California, is announcing the release of her new EP, Here I’ll Stand, digitally and physically worldwide on June 23rd, 2015. This brand new release features six original songs written by Jordan and produced and arranged by the legendary Narada Michael Walden on his label, Tarpan Records. Jordan released her first album of original songs, Infinity, at age 16, and hasn't stopped writing or performing since. Her songs are an outlet that speaks to the challenges people face in their everyday lives, providing an opportunity to empower everyone to rise above. She appreciates and is influenced by artists from many genres of music, including Billy Joel, Sara Bareilles, Ed Sheeran, Sam Smith, and Kelly Clarkson. 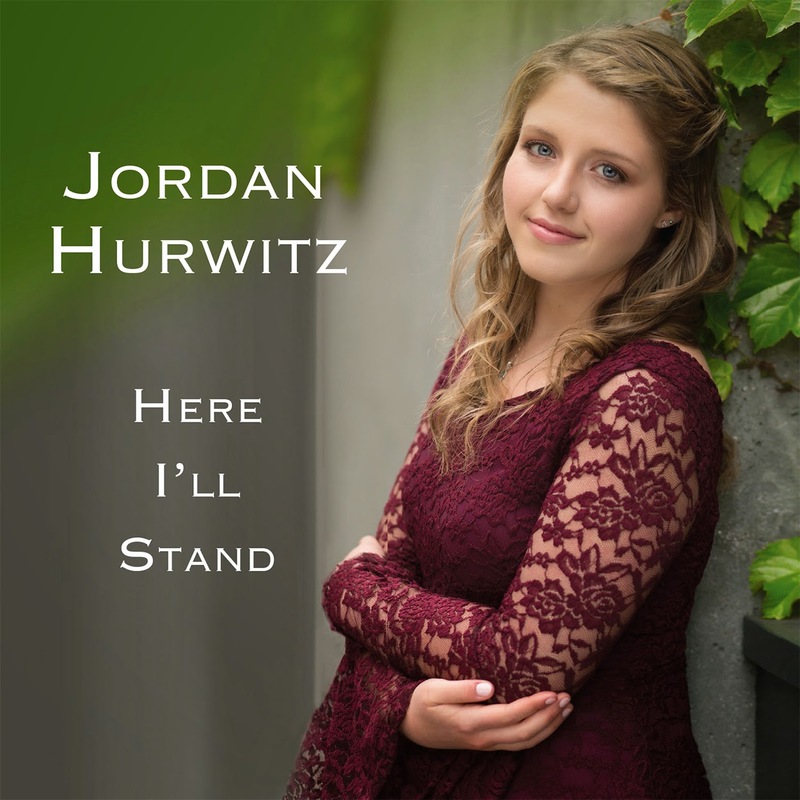 Her Here I’ll Stand EP will be available in stores and online June 23rd, 2015. Jordan plans to showcase her talents in assorted venues across the US over the next few months to support the new release.